Last September, Adrienne King (Alice Hardy, Friday The 13th 1980) decided to travel to the U.K. to sign autographs and answer questions about her artwork on display at the Misty Moon Gallery. Adrienne has created some awesome artwork inspired by her work on the original Friday The 13th film including the classic ending where a young Jason Voorhees jumps out of the lake to drag Alice underneath the water. What better way to spend time now with Adrienne outside of sharing her art than watching her film with her as well. 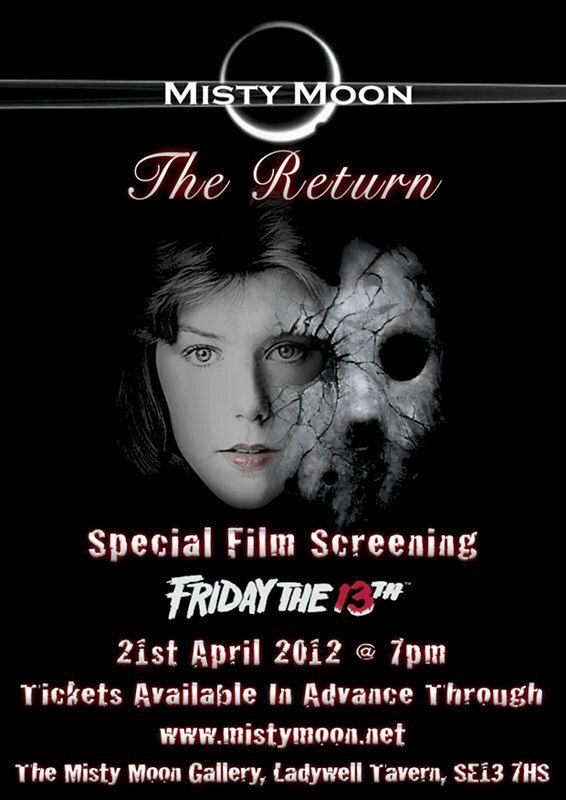 Saturday April 21st, Misty Moon Gallery will be showing both Friday The 13th 1980 and Friday The 13th Part 2 starting at 7:00PM (U.K. time). For more information, please visit the link below and if you live in t he area, please make sure to attend and hang out with one of the nicest ladies you'll ever meet!